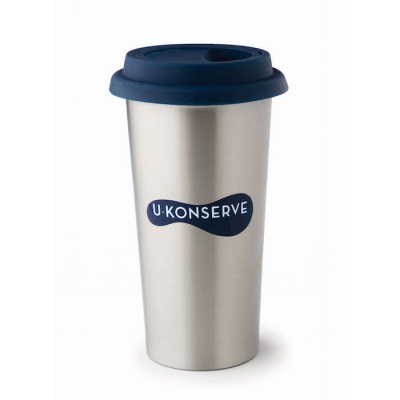 A reusable insulated stainless steel, plastic free coffee cup. Keeps drinks hot or cold. 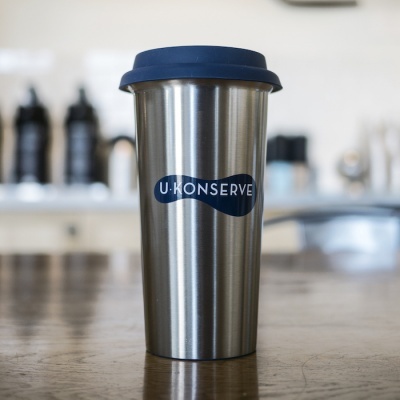 A stylish alternative to disposable paper cups, this 16-oz insulated stainless steel coffee cup keeps coffee and tea hot, and iced drinks chilled, for hours! The food-grade silicone lid is a healthy alternative to plastic for covering hot beverages, and is very durable and heat-resistant. 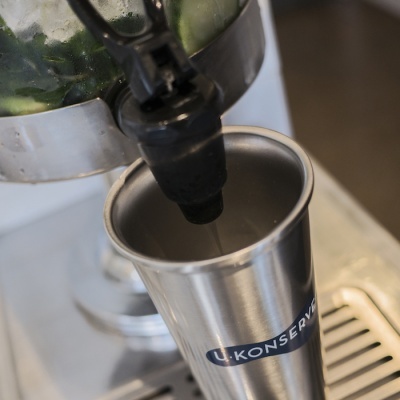 Now you can feel better about those daily trips to get your caffeine fix! Also works well for taking drinks from home. Also, perfect for refusing disposable cups at fast food restaurants and street vendors. Buy package free ice cream, smoothies and slushies. Great to use at deli counters for a package free lunch. Don't be afraid to ask to use your reusable cup for buying food and drinks. I always keep at least one in my bag when leaving the house as you never know what type of packaging this will save you wasting each day. 17.5cm tall x 10cm wide.